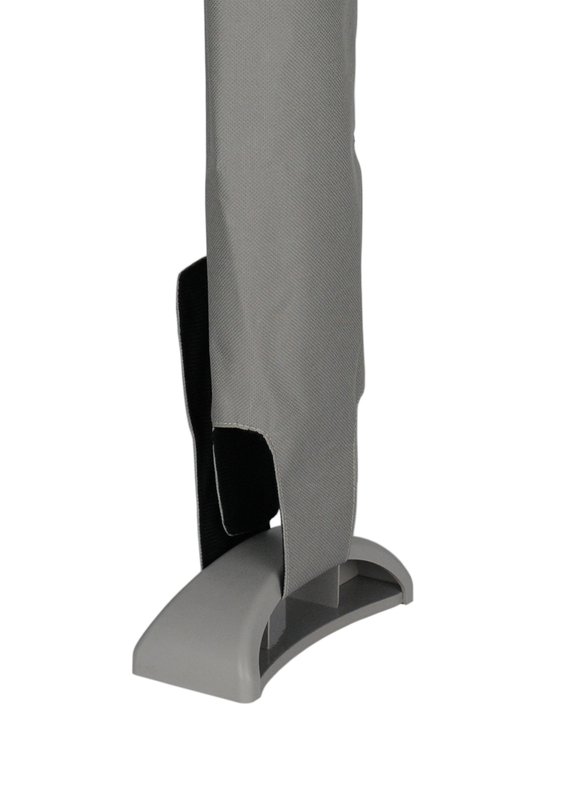 Comes complete with a slide and rotate mechanism - allowing leg space when in use. 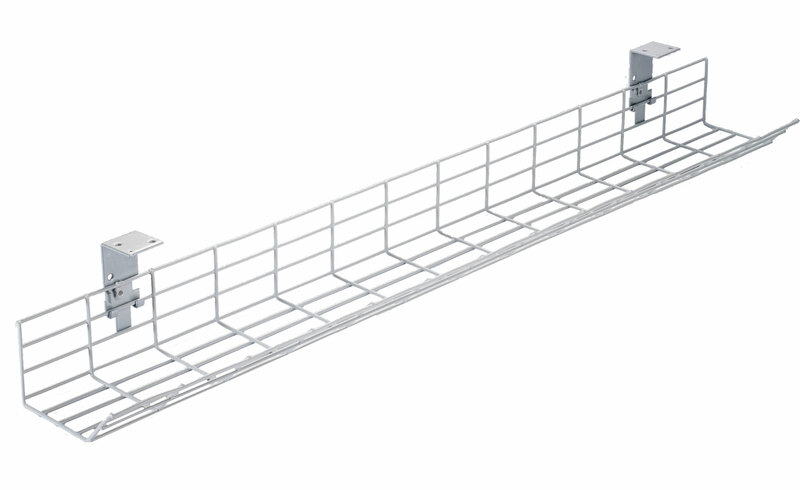 Adjustable frame from 100m to 230mm for width and 380mm to 580mm for height. 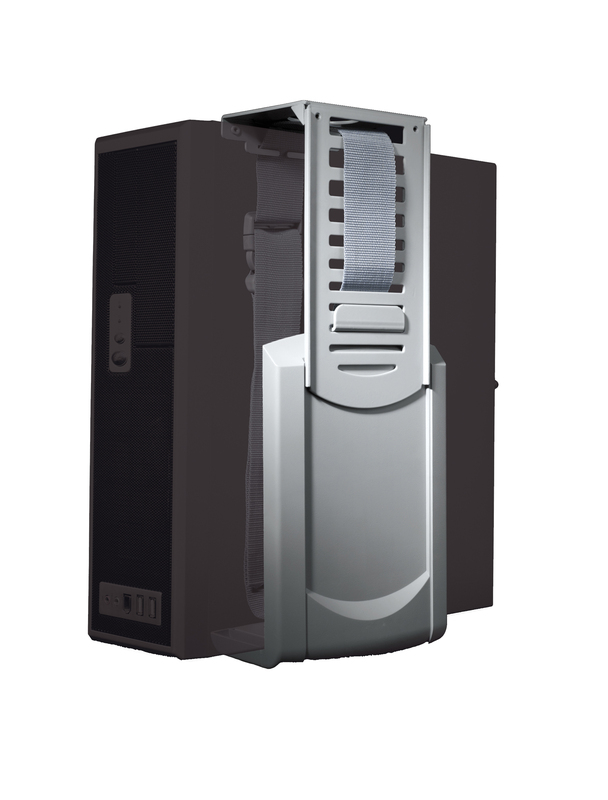 The Spin CPU Support can accommodate a wide range of CPU sizes, and a CPU up to 15Kg (subject to desk material). 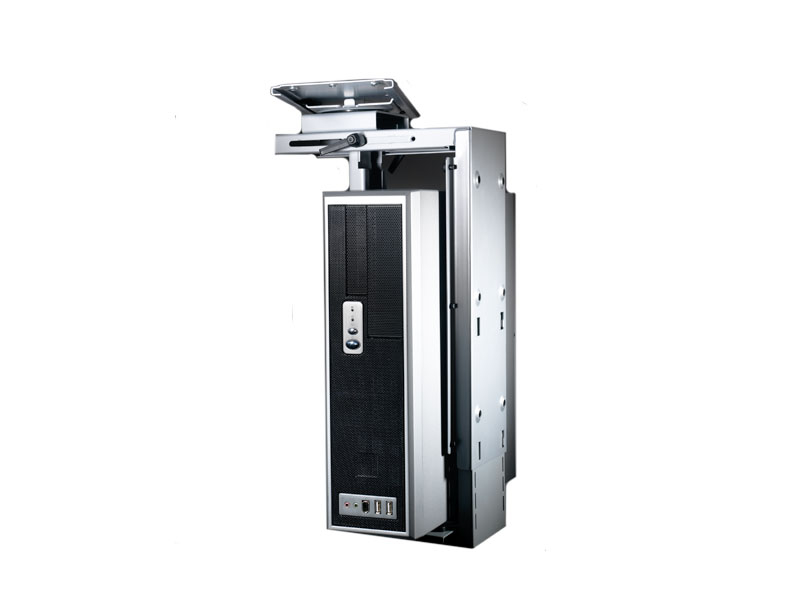 Also included as standard is a Slide and Rotate mechanism, allowing easy access to the CPU once mounted under the desk. If the security of the CPU is a concern, the Spin CPU Support can be supplied with a locking mechanism.